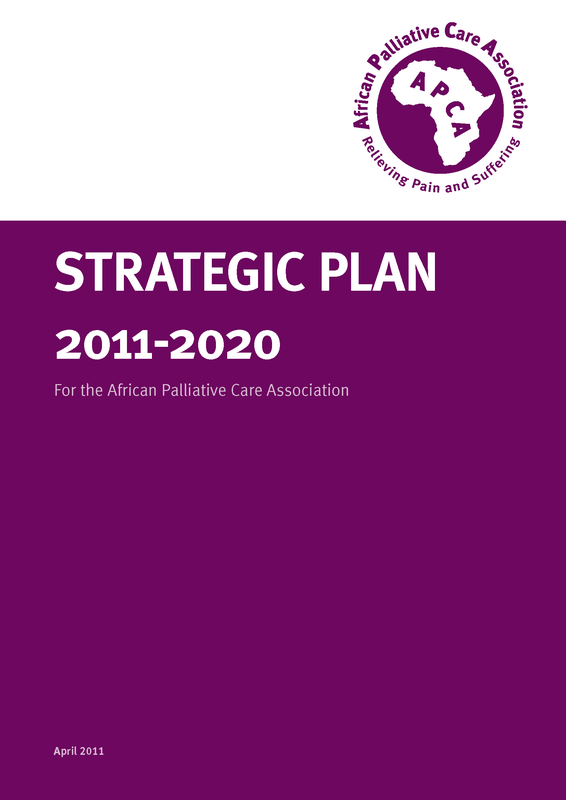 The African Palliative Care Association (APCA) proudly launches its latest strategic plan. 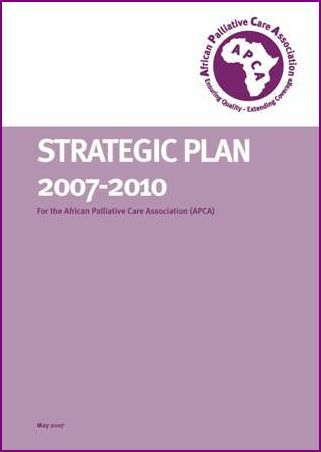 Covering the period 2011-20, the plan aims to work towards APCA's vision of access to palliative care for all in Africa. The key focus of the plan is the strengthening of health systems to ensure the public health delivery of palliative care. Previously, less than effective health delivery systems have posed a substantial challenge to APCA's attempt to realise its vision. According to the World Health Organization, the six fundamental building blocks of a generic health system include: service delivery; the health workforce; information; medical products, vaccines and technologies; financing; and leadership and governance. A critical component of the WHO's service delivery building block is a package of integrated services. However, despite being defined as an essential component of a comprehensive package of care for people living with life-limiting illnesses, palliative care is a variable component of service delivery models in Africa. A health system that excludes palliative care services is deficient. Strategic driver 4: Ensuring the economic sustainability of APCA. The integration of palliative care into national health systems across Africa is the cornerstone for its sustainability for those who need it: patients, their families and carers. APCA's strategic plan expands on the issues involved and lays out its planned work for the coming 10 years. The plan will be supported by three-yearly operational plans, starting with 2011-13. Please go towww.africanpalliativecare.org for additional information. How can I be involved in its implementation? In implementing its strategic plan, APCA is looking for interested, experienced partners (both individuals and organisations, within Africa and outside the continent) that can ensure that APCA delivers on its strategic objectives. If you're interested in working with APCA, please submit a letter of interest, with supportive curricula vitas for individuals, and a breakdown of key work areas for institutions to partners@africanpalliativecare.org. You can also download APCA's strategic plan 2007 - 2010 here.